Cool-er ebook reader is a light samll and elegant electronic book reader, designed to be the iPod of eBook readers advantageous resembling an iPod and being available in various colors and it works as an eBook reader if it is the most important part of the package many people who read. It is handy and lighter that you can hook it where ever you go without the assumption you carrying something with you. 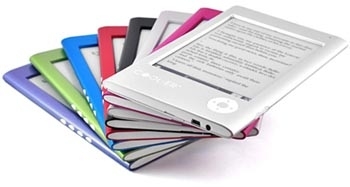 You feel reading book with this which uses E-technology, the glare – free 6 display looks just like paper unaffected by direct sunlight, from enormous online sources floating around in cyberspace you can simply download your favorite article or books. The intenal battery lasts for 8000 page turns charges in around three hours and you can alarm to automatically switch off after 15 minutes. 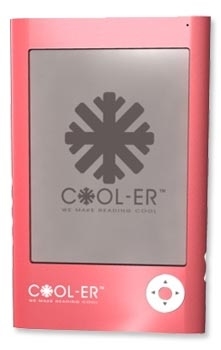 The COOL-ER’s iPod-style scroll wheel acts as a menu selector and page turner, it also lets you select from six font sizes and toggle between landscape and portrait viewing.